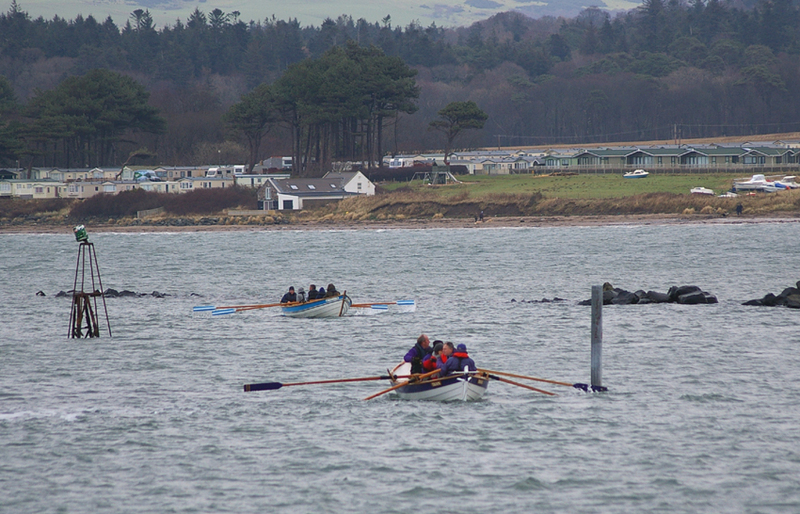 Unfortunately the weather for our annual New Year’s Day Row had to be abandoned due to the severe weather. However, on Sunday 4th January a large team of hardy rowers set off with Marr Voyager south to Maidens and joined the Carrick Rowers for a friendly Festive Row and lunch. They arrived at Maidens to find a distinct chill in the air and a stiff off-shore breeze. 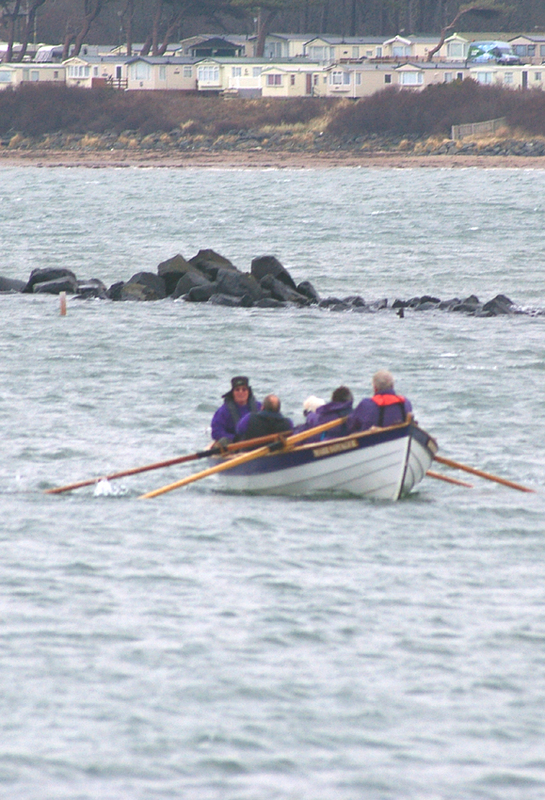 Marr Voyager and Carrick Maid were soon in action with various permutations of crews among the thirty or so rowers who were present time and again. Conditions were choppy and brisk to say the least. Everybody had at least one exhilarating trip. The whole party retired to the Kirkmichael Inn for lunch.